I had a 26 year old male patient who reported “slightly blurry” vision in his left eye. His visual test for the left eye was still 20/20, although not as clear as the right 20/20. 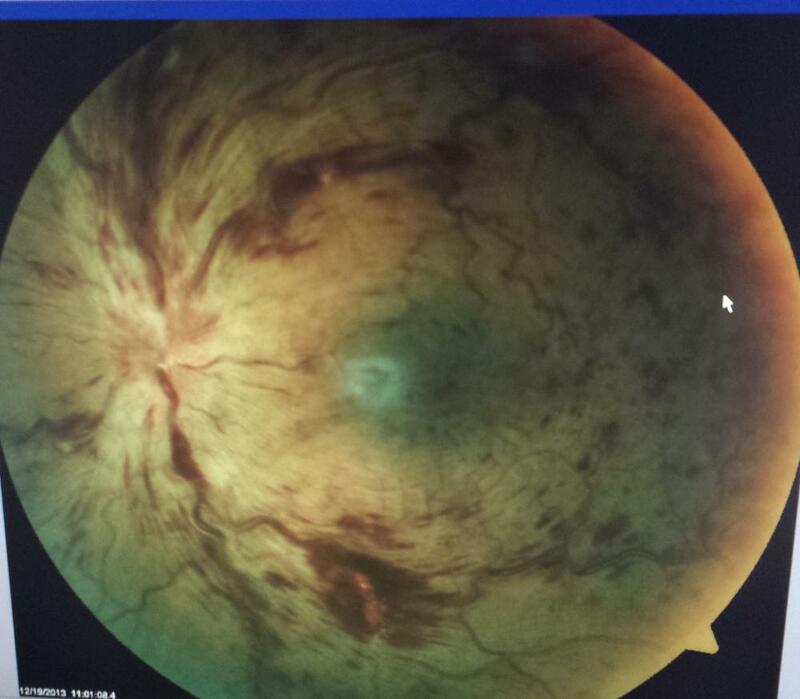 A dilated examination showed a central retinal vein occlusion (CRVO). This patient was referred to the retinal specialist. Blood work up was normal and no cause was found for the CRVO. There are many blood arteries and veins going into and out of your eye, providing nutrients and oxygen to it. A CRVO occurs when there is a blockage of the Central Vein. This causes blood and fluid leakage, and vision is blurry. Sometimes this leakage can cause swelling and prompt treatment is required to prevent further vision loss.